Sapura Technics, a new commercial maintenance, repair and overhaul (MRO) company that is part of Malaysia’s Sapura Group, has launched its new business at Senai International Airport in Johor. Syahril Shariff, Sapura Technics’ head of sales and marketing, tells Smart Aviation APAC that the new MRO will first focus on local narrow-body aircraft such as the Boeing 737 and Airbus A320. 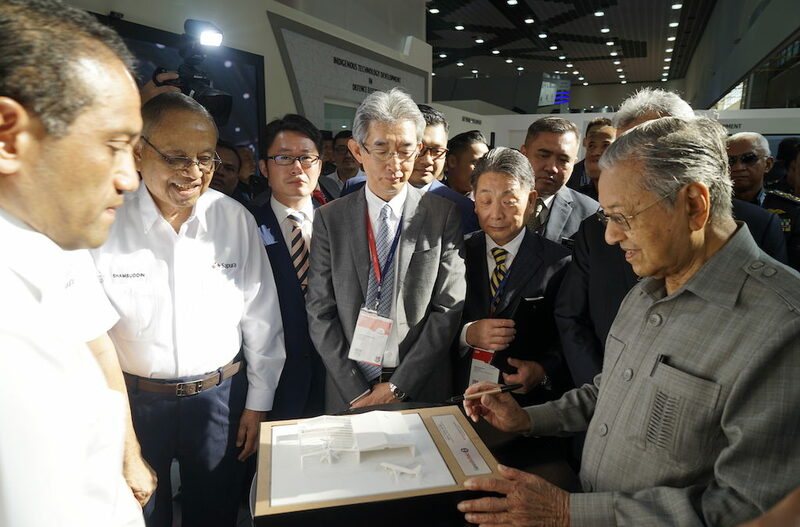 He adds that its two hangars will likely open doors to the first aircraft in July, after receiving Part 145 approval from the Civil Aviation Authority of Malaysia. These hangars were previously used by Sapura Technics’ sister company for business jet maintenance, Syahril says. But Sapura Technics also has sights on becoming a regional player, says Syahril. In addition to its strategic location in Southeast Asia, the company also chose Senai airport as it is situated in Johor’s Iskandar economic zone, giving it special tax benefits that could lower costs for airlines, he adds. When asked whether growing MRO numbers are a concern, Syahril says there is so much demand that local MROs remain unfazed. However, there are worries that not enough new MROs are top tier, hampering the international status of the sector, he says, adding that this is where larger overseas players from places such as Singapore can come in. Amrul Zeflin Anim, Sapura Technics’ accountable manager, says the move is part of a wider push for Malaysia to become an MRO hub. In addition to location, Malaysia has a large, increasingly educated talent pool that can support the region’s expanding commercial aviation fleet, he adds. Young professionals returning from China, the Middle-East and neighbouring Singapore are joining Sapura Technics and other MRO companies, Amrul says. Malaysia’s MRO industry in Senai as well as in Kuala Lumpur’s Subang and Kuala Lumpur International Airport aim to capture over five percent of the global market by 2030, Amrul says.